What do you know about Ransomware? 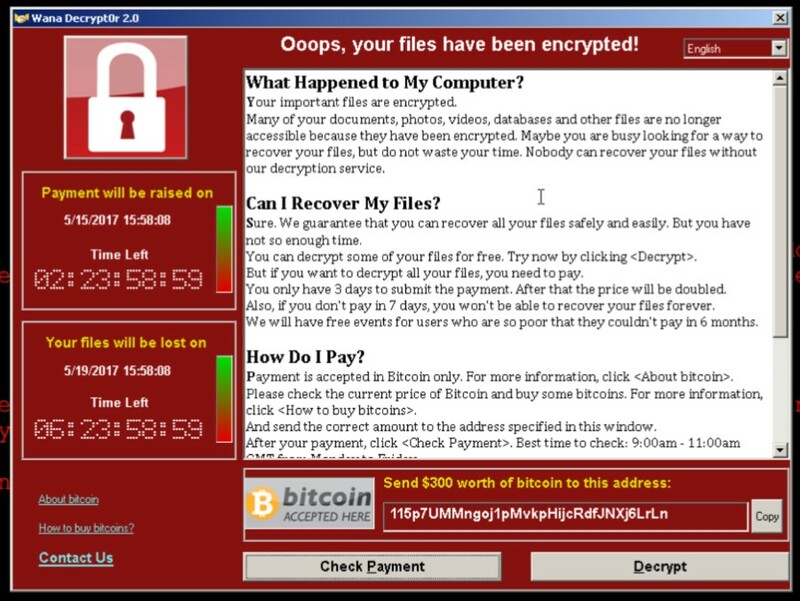 Ransomware is blazing its way across the front pages of news sites and the primetime anchor spots on TV, and for good reason; WannaCry has been an attack that has stunned the world with its reach and disruptiveness. 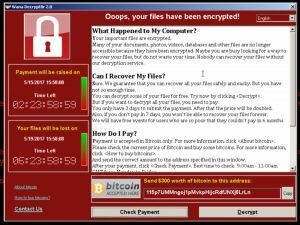 Perversely, the WannaCry attack has been welcomed by some professionals in the cybersecurity industry. While the damage is entirely lamentable, it has highlighted the extent of unpreparedness that is common to the digital world. With modern ransomware able to devastate national infrastructure such as the NHS in the United Kingdom, more is clearly required to reach a secure level of operation. With this said, there are details to ransomware that many are entirely unaware of. Being a nuanced and technical subject, we have brought together a list of informative points to bear in mind. The amount of money made by ransomware is staggering. Ransomware wouldn’t be as prevalent as it is if there wasn’t a huge amount of money to be made! While there are many forms of viruses and hacks online that exist purely as toys, the most telling indicator of how widespread an attack will be is the potential it has to make profit and ransomware are no exception. This is partly since a ransomware attack can ‘blanket’ target both large and small industries and companies with ease. While large corporations are just as vulnerable to being caught, it’s also true that small businesses are being hammered every day with demands to pay up to access their suddenly ‘encrypted’ data. Cryptowall 3.0, a salient example of this potential for income, made $325 million in 2015 alone. To quote author Terry Pratchett, “Criminals don’t obey the law. It’s more or less a requirement for the job.” The same disregard for the very agreement in their ransomware is commonly seen. Many individuals have been the victim of a ransomware attack, suddenly finding that their business-critical files are beyond use and must be paid to be accessed. The problem? They don’t release the files. Many accounts exist across the internet of people who have ponied up the funds as demanded by their local cybercriminals, after which the files remain encrypted. This behaviour of giving in to the criminal’s demands is dangerous; many perpetrators of ransomware attacks make their best money by repeatedly targeting and ‘squeezing’ those who have initially paid in the hopes of restoring access to their files. The two pillars of ransomware success in recent years are the ease of its access and the simplicity of its use. We’ve explained how ransomware can attack both small and large businesses en masse. With many small businesses woefully underprepared for an attack, often with little to no defence at all, penetration is easy. Second to this is the ease at which an individual can ‘get involved’ in ransomware themselves. Ransomware can be downloaded easily online in a relatively anonymous manner, particularly if the individual masks their presence with the use of software such as VPN managers. This allows any interested individual access to some of the most damaging and widespread forms of ransomware available. On a more sinister note, however, is the ‘as a service’ approach to distribution. It’s important to remember that cybercriminals are in it for the profit; it isn’t done just for fun! The SaaS model allows individuals to acquire the most efficient forms of ransomware at no cost, instead directing a portion of their ill-gotten gains back to the producer of the ransomware each time they succeed. This low barrier to entry in terms of both cost and simplicity in using the products themselves is a large factor in the sheer rate of attacks witnessed over recent years, as well as a significant contributing factor in the continued growth of the cyber phenomenon as a whole. 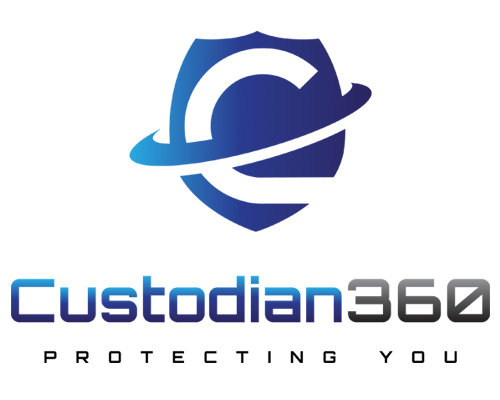 Custodian360 is one of the only truly managed ransomware protection solutions available in the UK, using state of the art real time detection & prevention software backed up by a team of security analysts dedicated to the protection and remediatin of your network. Get in touch with us today to find out more about us. Friday the 12th of May 2017 saw the first Ransomware worm that we have seen in the wild wreak havoc across the globe, striking indiscriminately at those running Windows XP, Windows Server 2003 or unpatched Windows 7 Operating Systems. This worm has exploited the vulnerability MS17-010 allowing it to spread through a network at alarming speed and with no user interaction. The first that many of us heard about this was when it was announced that a number of NHS Trusts were experiencing some kind of cyber-attack. As it then transpired, Telefonica had already suffered the same fate in Spain and then reports started to come from many different sources alerting us to the fact that this was much more widespread than just the NHS Trusts or a few larger companies. Over the next few hours I personally watched the spread of the worm around the globe, more and more infections were reported, social media was alight with comments and pictures for many hours as more and more people fell victim to Wannacrypt which was soon dubbed Wannacry. Very soon we were looking at numbers as high as 200,000 infections worldwide, had this been a traditional Ransomware campaign this wouldn’t have been too bad for many organisations as they would have been facing a ransom payment of hundreds of dollars. Many would see this as acceptable to quickly recover files and many would pay the ransom quite quickly. Instead, what we had was organisations facing huge ransom payments totalling many thousands of dollars. For the majority, the only option was to start a massive clean-up operation of rebuilding affected computers and restoring files (where possible) from backup. This leaves many IT staff facing a long weekend working day and night to try and put their business back to a position where they are operational on a Monday morning. As this has been such a high-profile incident we can clearly see that for many this just hasn’t been possible and many organisations are still in Disaster Recovery situations or are limping along, many reverting to using paper as a means of communication. It’s clear to see that it doesn’t get much worse than this. As the person responsible for providing IT services within an organisation this is absolutely the worst nightmare situation. We should sympathise with some of these larger organisations though. Many use bespoke applications that were developed to run on Windows XP or Windows Server 2003 and are not compatible with later, more secure operating systems and the cost of both re-developing applications and migrating to new operating systems is prohibitive. This, unfortunately makes them sitting ducks. As exploits are discovered they are dependent on their security measures and vendors being good to their claims about protection levels. We have seen Microsoft release an emergency patch to prevent the spread of the worm on these systems but we can’t rely on Microsoft doing that in the future as these systems are well beyond end of support. Even if Microsoft do release patches for found exploits in the future, we have just seen that it takes a couple of days for these to become available, what option do you have then, shut down all of your systems until you can apply patches? That’s just not an acceptable approach. Security vendors and suppliers must step up and work with these organisations to provide the level of protection that is now needed. Many new vendors are doing this and are thinking of new ways to detect malicious behaviour and stop it in its tracks. The old approach of detecting threats and attacks by using signatures to identify known behaviours is woefully outdated and leaves many potentially exposed to the huge cost of remediation and consumption of huge engineering hours. Recently, NSS Labs performed a Total Cost of Ownership and Effectiveness test across a number of EndPoint Protection vendors. This showed us that a 500-user company can potentially spend $1,250,000 on cleaning up a cyber-security incident. This is a big enough number for any organisation to “lose” and it is sure to rise after this most recent incident. At AVR International we have championed a move towards analysing behaviours in real time and preventing threats as they occur rather than before they happen. This may sound like a risky approach but when you look at what is actually happening these days it is absolutely the right approach. Having run versions of Wannacrypt myself and looking at the forensics following execution it is frightening to see how quickly this particular threat works, the Ransomware itself seems to have one failing though, it creates new files and encrypts them but doesn’t delete any files until it has finished encrypting. Every piece of Ransomware I have analysed up until now follows a simple pattern, create, write and delete. This means that if you can stop the Ransomware while executing then you won’t lose any files, the system doesn’t look pretty but you can still carry on working. Many “next generation” vendors will be able to do that and this allows us to not only avoid paying ransoms but allows us to remediate at a more leisurely pace. One vendor goes further though, SentinelOne is currently the only “next generation” vendor to offer protection and full remediation in a single lightweight, autonomous agent. Moreover, they are the only vendor I am aware of that can say that none of their customers were affected by Wannacrypt. That is some claim to be able to make but as SentinelOne’s only UK Managed Security Service Provider, Custodian360 can also make that claim. SentinelOne’s powerful Deep File Inspection identifies Wannacrypt in all of its forms before it has a chance to execute meaning you are never at risk. With support for Windows XP and Windows Server 2003 it would seem to be the obvious choice for EndPoint protection given the current threat landscape. All are welcome and we will discuss the current threat landscape, how we see it changing and where it could go before looking into the forensics of this specific attack and what we can do to not only detect these threats but stop them in their tracks. Cyber Security is changing at a rate never before seen, don’t let yourself become the one that got left behind as that sitting duck. 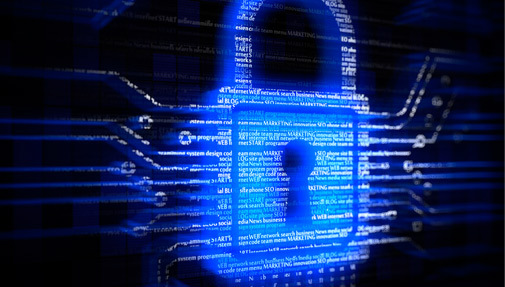 Ransomware is coming for small business. Is yours ready? In the thriving landscape of global cybercrime, ransomware is extending its reach ever further. Swiftly taking an increasing portion of the global cost of cybercrime, this highly disruptive and extortionate practice is aimed at a target ripe for the taking: small business. As the name implies, ransomware holds the asset or business owner to ransom. By infecting the source, it is possible for ransomware viruses to restrict access to business-critical data and software unless a fee is paid. Like more traditional crime, payment is far from a guarantee of safety, with victims who cough up falling victim to repeated extortion. It’s far from new. Ransomware has been on the scene since the infamous “Trojan horse” in 1989. 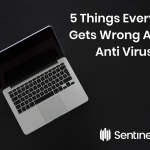 What you can bet on is the sophistication of modern viruses that are insidious and capable of penetrating the poor standard of cybersecurity common to small businesses. The scale of the problem is far from small. The U.S Department of Justice recently estimated that ransomware will be the most damaging form of cybercrime experienced in 2017.The problem is fast exceeding mere millions. Robert Herjavec, the founder of Herjavec Group, provided an accurate estimate of $1 billion Dollars in damage an extortion worldwide in 2016 due to ransomware alone. This alarming figure is all the more concerning due to its meteoric rise in such a short time; it wasn’t long ago that the FBI and industry giant MacAfee were talking figures in the tens and hundreds of millions for the major ransomware at the time. The numbers are simple. Why target one large company per month for £10,000 when ten smaller businesses can be attacked and extorted for £2,000 instead? Lacking in dedicated risk & security staff, small businesses are also inherently more vulnerable to attack. Proper precaution against cybercrime is no small undertaking and the investment in money and time required to effectively safeguard against ransomware is something many SME’s simply cannot afford. Criminals know this. The statistics on the expansion of ransomware in the small business landscape is nothing short of incredible, with the frequency of attacks in 2017 predicted to triple or quadruple those of 2015. With new ransomware specifically designed to bypass common gaps in security such as the absence of anti-malware software, perpetrators are well prepared to exploit the security tendencies of such smaller business worldwide. With the extent of damage to entrepreneurial start-ups and SME’s across the world, now more than ever is the time to identify and protect to avoid falling victim yourself. The good news is you have options. With software, hardware and professional consultative support becoming a bigger business with every year within the cybercrime landscape, many services and solutions have arisen that can help ensure your business does not fall victim to the insidious threat of ransomware and wider cybercrime. For those with the budget, simple professional consultation can be a swift solution that can tailor to your business-specific needs. Cybersecurity professionals will possess comprehensive and specialized skills that can prove critical to protecting business assets and infrastructure. If the independent approach suits your needs better, standard practices such as the mandating of strong passwords and effective firewall and intrusion detection systems can easily make your business more trouble than it is worth to target. It’s worth remembering that small business is a ripe target due to the tendency for little to no cyber security; a solid application of tried and tested basics can ensure a robust level of protection to most attacks. Large or small, no business can afford to be complacent. With the average costs of even fake ransomware attacks costing UK businesses over £13,000 per incident the writing is on the wall: invest in security or risk the consequences of an attack. 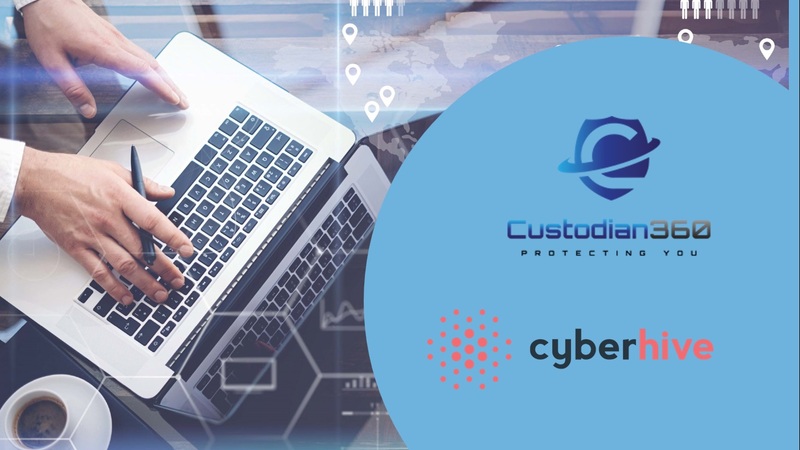 Custodian360 is a complete EndPoint Protection solution offering, Prevention, Detection and Remediation with full spectrum analytics. Powered by AVR International Ltd, Custodian360 allows us to centrally manage your EndPoints using our behavioural analysis agent to alert our experienced analysts to assess the threat quickly and effectively. When threats are detected we are able to stop them in their tracks regardless of their nature, be it conventional malware, file less, browser or network based threats thus ensuring the safety of your users and continuity of business is uninterrupted. Even in the case of the most virulent ransomware strains, if any files are encrypted we can offer full remediation in a matter of seconds returning your files to a pre-execution state and removing all traces of any threat.